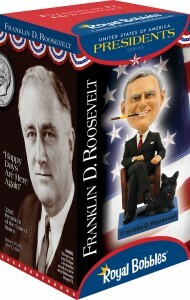 Franklin Delano Roosevelt (FDR) was the 32nd President of the United States (1933–1945). He led the country through a very difficult period in its history, one that included the Great Depression and World War II. He would become the only president to be elected four times. He contracted Polio in 1921 and worked courageously to retain the use of his legs – to no avail. In 1928, he was elected to his first of two terms as Governor of New York. 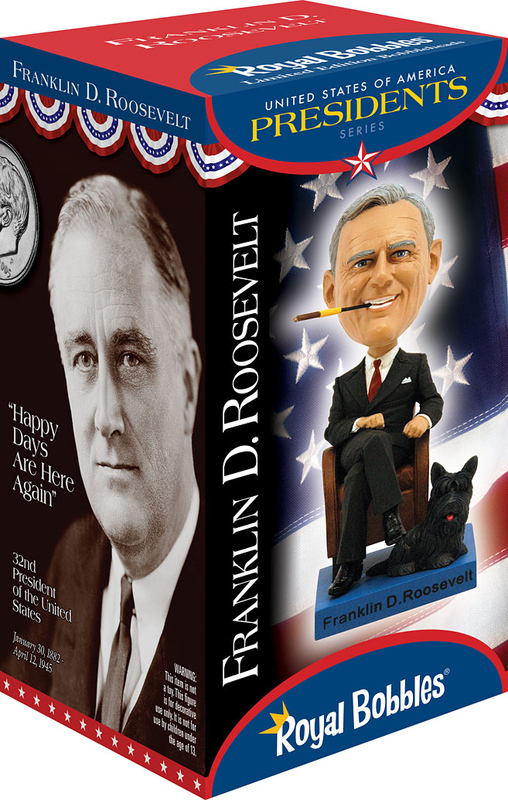 He began his campaign for the presidency at the start of his second term and was elected president in 1932, defeating Herbert Hoover. Assuming the presidency in the depth of the Great Depression, FDR instituted sweeping economic reforms, calling them the “New Deal.” His programs would regulate the financial industry, aid the unemployed, help a business and agricultural recovery and put millions back to work. Many new government agencies were created, notably the Tennessee Valley Authority and the Social Security Administration.